French operas, American jazz, dance and a Russian choral symphony bring to a close the exciting, emotional and entertaining 2017–18 academic year at the UMKC Conservatory of Music and Dance. 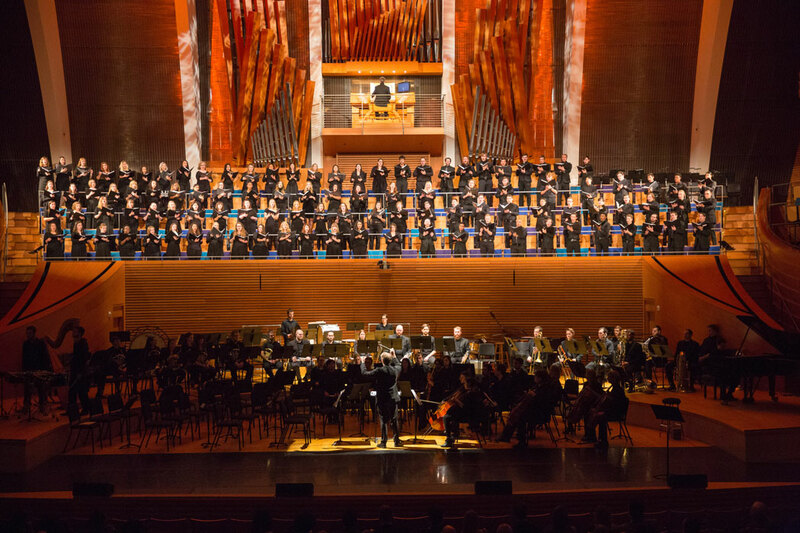 UMKC Opera presents an intimate and captivating evening of French opera with a double bill featuring Francis Poulenc’s brooding La voix humaine (The Human Voice) and Maurice Ravel’s lyric fantasy L’enfant et les sortilèges (The Child and the Spells). Each opera portrays a very singular voice facing trying times; one of a lover’s regret and the other a child’s rage. Fenlon Lamb directs this production of deep emotion and flights of fancy in a continuing exploration of the paper medium with set designer Jeff Ridenour, costume designer Maureen Thomas and projections designer Kris Kirkwood, the same team that brought Humperdinck’s Hänsel und Gretel to life in the fall. Poulenc’s La voix humaine, composed in 1958, was written for a single soprano performer with orchestra. 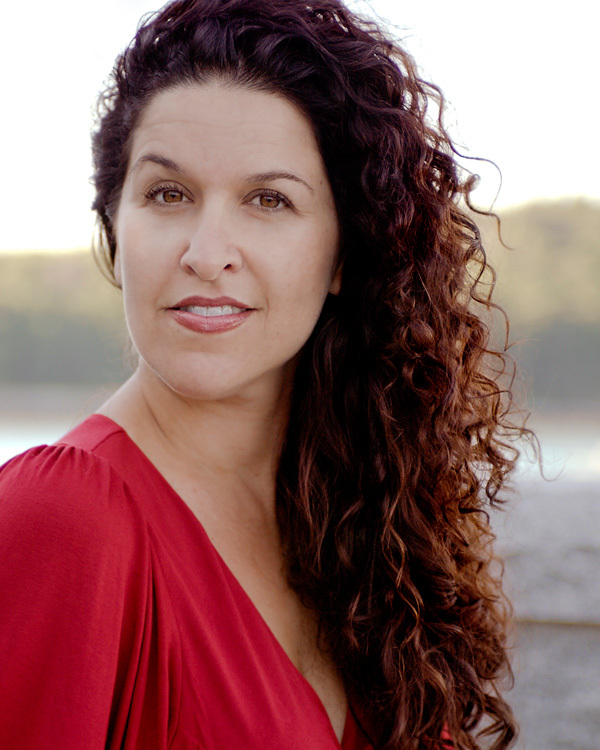 The libretto consists of a woman’s last phone conversation with her lover, who is now in love with someone else. As the conversation progresses, she eventually tells the caller of her attempted suicide the night before. This dark, one-act opera is based on the 1928 play by the same name, written by Jean Cocteau, who worked closely with Poulenc while he was composing the opera. Unlike his previous works, this piece stands out for its tonal ambiguity, as Poulenc avoids traditional harmonic functions in favor of unresolved dissonances in his orchestration. Maurice Ravel’s second opera, L’enfant et les sortilèges, was written between 1917 and 1925, with a libretto by Colette, the Nobel Prize-winning French novelist behind the novella Gigi. In contrast to the Poulenc work, this one-act opera has numerous roles, with the score specifying roles that should be performed by the same singer. This story is of a rude child, who throws a tantrum destroying the room around him. Those unhappy items come to life as his bedroom becomes a garden filled with tortured animals and plants who shun his attempts to make friends with them because of the injuries he caused them. It isn’t until an act of kindness from the child that the animals have a change of heart and decide to help him find his way home. Spring Opera, March 22–24, 7:30 p.m., White Recital Hall, 2:30 p.m. matinee, March 25. The Conservatory Jazz Bands return for their annual Spring performance, UMKC Jazz Night at the Folly. 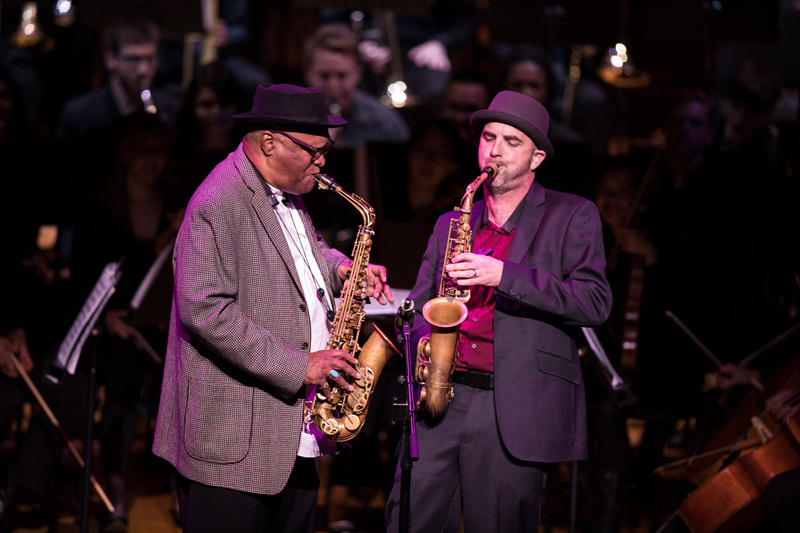 This lively collage concert features a variety of ensembles that represent the entirety of jazz studies at the Conservatory, including the Jazz Bass Ensemble, the World Percussion Ensemble and big bands led by jazz faculty Dan Thomas and Bobby Watson. UMKC Jazz Night, April 19, 7:30 p.m., C. Stephen Metzler Hall, Folly Theater. Our annual Spring Dance is a chance to experience the athleticism, precision and passion of our Conservatory dance students. The extraordinary creativity of the dance faculty’s choreography is combined with our talented dance students as they collaborate with Conservatory musicians and guests for this exciting performance. April 26–28, 7:30 p.m., White Recital Hall, with a free and informal performance April 28, 2:30 p.m.
Conservatory Finale, May 1, 7 p.m., Kauffman Center for the Performing Arts, Helzberg Hall. All Conservatory tickets are available at umkc.edu/cto, or by calling 816-235-6222.